Out of 60 top student-led ventures around the globe, three from UCF were invited to join Blackstone and Techstars in New York City for the 2018 Blackstone LaunchPad Techstars Training Camp to gain extensive first-hand experience, meet with renowned mentors and expand their business and economic knowledge. Lorenzo Rubio, CEO & Founder of LEV-TEC, LLC: After experiencing a painful and frustrating recovery from a broken ankle/leg, Rubio decided to create a pain relief footwear solution with an engineering twist: using magnetic propulsion technology. Mason Mincey, Chief Operating Officer, and Derek Saltzman, Chief Executive Officer of SOAR Aerospace, LLC: When first entering college Mincey and Saltzman discovered drone racing, a sport where pilots around the globe would travel and race against other pilots. With the help of carbon fiber, they now offer pilots customizable and extremely durable drones. 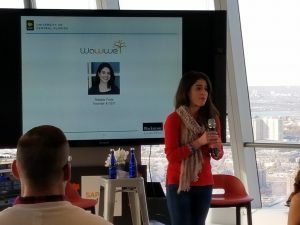 Rafaela Frota, Founder & CEO of Wawwe, Inc.: The lack of public awareness on the food industry inspired Frota to bring Wawwe to life. The company is a data-driven, mobile assistant that makes it easy and feel good to eat healthy by implementing powerful AI algorithms. This two-day training will enable these UCF students to take the next step in their business plans and heighten their success. The knowledge they obtain will better equip them for life after graduation and to become the next generation of entrepreneurs. Blackstone Charitable Foundation is a campus-based program, accessible by more than 500,000 students globally on 20 campuses. 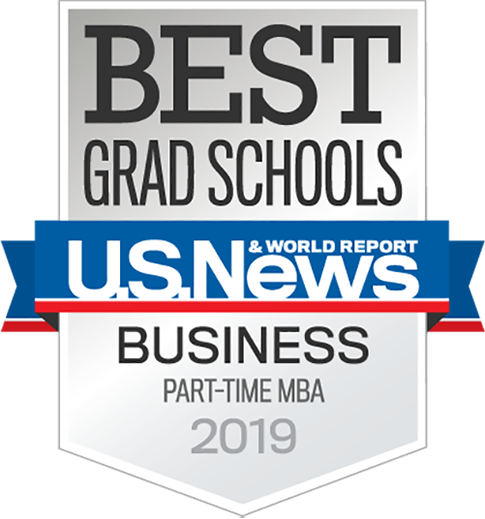 The foundation works to make entrepreneurship a more viable career path for college students by directing the firm’s resources and expertise to colleges throughout the world to catalyze the growth of successful businesses, industries, and communities. Using the Techstars Worldwide Entrepreneur Network, founders connect with other entrepreneurs, mentors, alumni, community leaders, investors, experts, and corporations to grow their companies. The UCF Center for Entrepreneurial Leadership was founded to make entrepreneurship an essential part of the UCF experience. 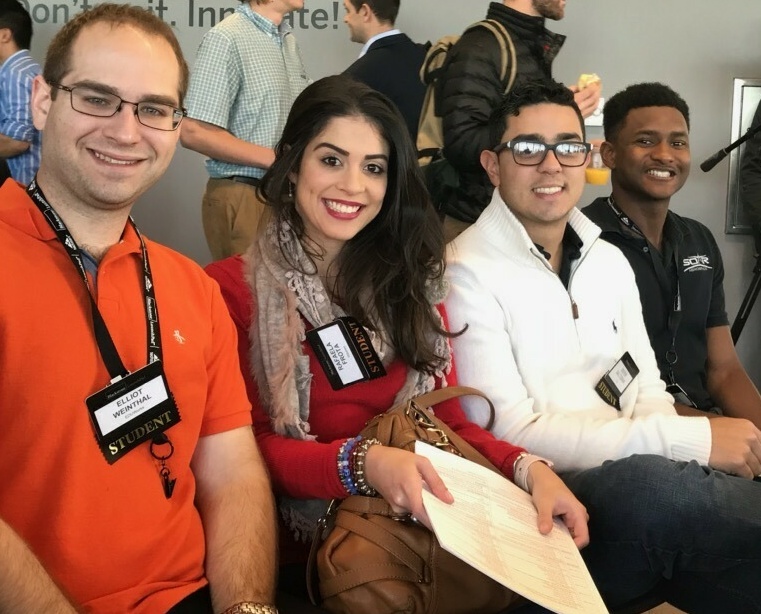 Our curriculum options, Blackstone LaunchPad coaching program, and startup events, showcases and competitions offer UCF students from all disciplines opportunities to explore entrepreneurship as a career path.